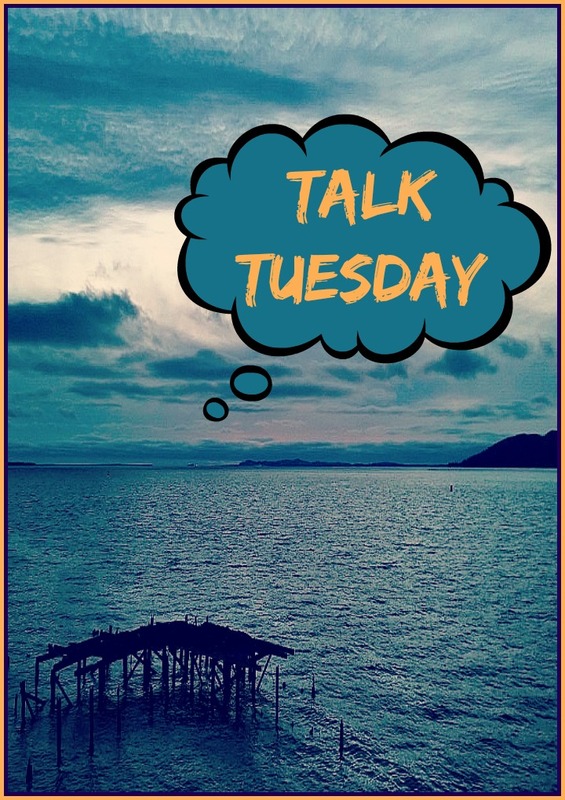 Talk Tuesday: How’s Alaska Going? Okay, so how was that date or breakfast meeting? How is the new roommate situation? Are you staying in Alaska? What are you plans for the rest of the Winter in Alaska? I have decided to write Talk Tuesday just twice a month instead of every week. I think this format will be better and gives me more time to write longer posts that seem to come out of the questions. Talk Tuesday is where you get to ask me whatever you want and I answer you. Did you miss the prior weeks, take a peek as there is some good stories in there: Week 1 | Week 2 | Week 3 | Week 4 | Week 5 | Week 6 | Week 7 | Week 8 | Week 9 | Week 10 | Week 11 | Week 12 | Week 13 | Week 14 | Week 15 | Week 16 | Week 17 | Week 18 | Week 19 | Week 20 | Week 21 | Week 22 | Week 23 | Week 24 | Week 25 | Week 26 | Week 27. Last Tuesday I went on a date that I had met on Tinder. It didn’t end well. At all. I was pretty pissed off actually and very sad that it was a train wreck. I ignored red flags for the two weeks we were texting and I shouldn’t have. The bigger issue is I can’t seem to move past this guy I fell for two years ago. I saw him in Las Vegas and we had a really great week together as friends. When I close my eyes he is who I see spending my life with. I have for two years. Well, I need to get over that and move on – it has been two years and we are still not together. It’s not like I have been idling waiting, but still. The passion, intelligence, and just about everything I want in a man, he has. Very VERY hard to let go. But I guess I must. So the crap date was on Tuesday and I made a post on Facebook that said I give up on this whole dating thing. Guys just aren’t into me – I have heard I am too adventurous, too intelligent, too intense, too whatever. I think being overweight also has something to do with it. Maybe I’m just insecure in that category, maybe it is the truth. I don’t know. I just know that I date have any success in dating. None. Zilch. Nada. On Thursday, quite unexpectedly I met a man who I had first met in Homer at the End of Summer Camp I went to where I didn’t know a soul. Our eyes spoke volumes that first moment I met him. I had a hard time breathing around him. The energy was intense. I gave him my card and sadly, never heard from him again. Well, on Thursday I saw him again and the electricity was still there. I really like my new roommate! She is down-to-earth, has a great sense of humor, and easy to get along with. We are on opposite schedules as she is a PICU nurse so that gives us both time in the apartment alone. Since she sleeps during the day I have gone to working from Starbucks, which I secretly love. That Dirty Chai is my one true addiction. Plus, I dont have a desk at the apt and the tables at SB are perfect for writing. She also has a cat that is a dead ringer for my cat, Sebastian. I have really missed having an animal around. So all in all, very well. I’m happy. I don’t dread going home anymore. For now I am here. My travel plans change as fast as anything these days. I’m still hoping to go to Dent in Sun Valley, Idaho in March and Spain at the end of April for TBEX. I would then spend May in Europe and come back to Alaska for the summer. As of right now, I am not planning on being in Alaska past September. But who knows what will happen? For the next 4-6 weeks I will be in Alaska is all I know. 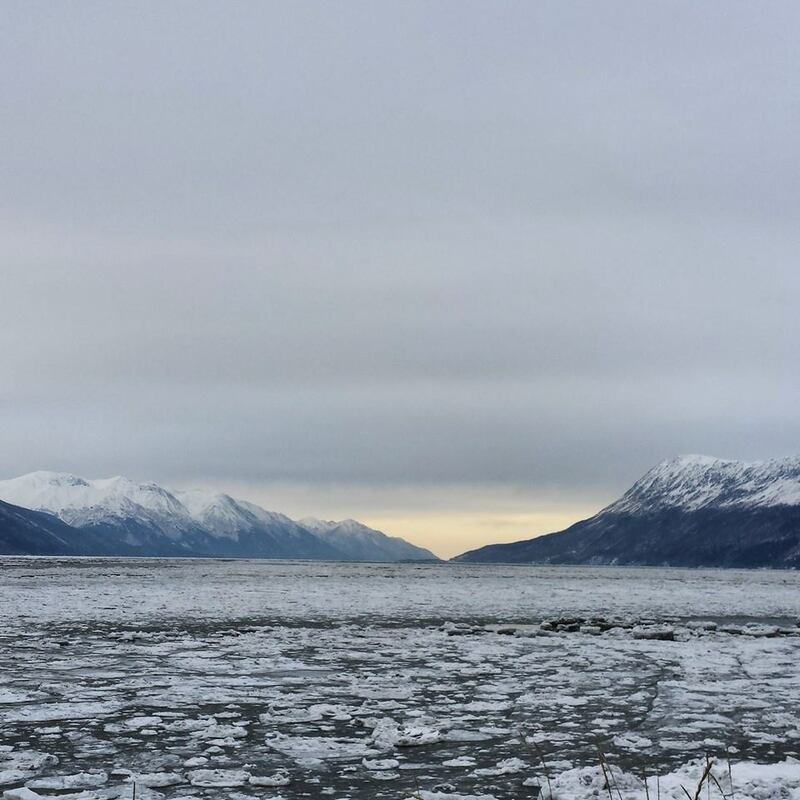 Last weekend driving Turnagain Arm, just south of Anchorage. Last week was bone-chilling cold in Alaska, I couldn’t even handle walking outside for more than a minute. This week was supposed to be beautiful weather and some snow. Well, yesterday we had a warm front come through with rain. It melted all the snow. This has been the warmest winter on record in Alaska with much of the state missing the much needed snow. They even had to move the start of the Iditarod to Fairbanks, which has only happened one other time. So I haven’t been able to do any of the winter activities that I have wanted to. I am planning on going hiking this weekend and taking a day trip. If you were here for the winter, what would you want to see? Oh, and today it is 35 degrees and everyone is complaining that they are hot. HOT? Hmmm. You don’t know hot until you have experienced 120 degrees in Phoenix! I am now wearing a hoodie and a wool underlayer and don’t need my big red coat right now. So there’s that. Rockin my L.L. Baxter Red Parka at the Kenai Frozen Riverfest last weekend.